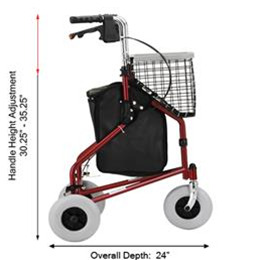 Traveler 3 Wheel rolling walker :: Walking Aids :: Nova Ortho-Med Inc. 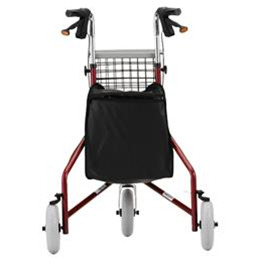 The Traveler 3 -Wheel Rolling Walker is designed for easy mobility. 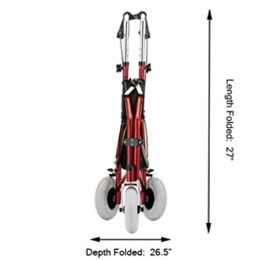 Unique three wheel maneuverable design make it easy to get around. 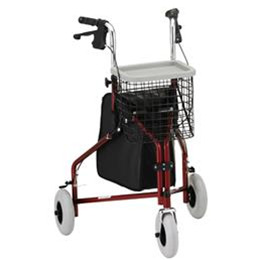 It comes with 8” wheels, locking hand brakes, a tray, a basket, and a pouch. Available in blue, red, black and purple.